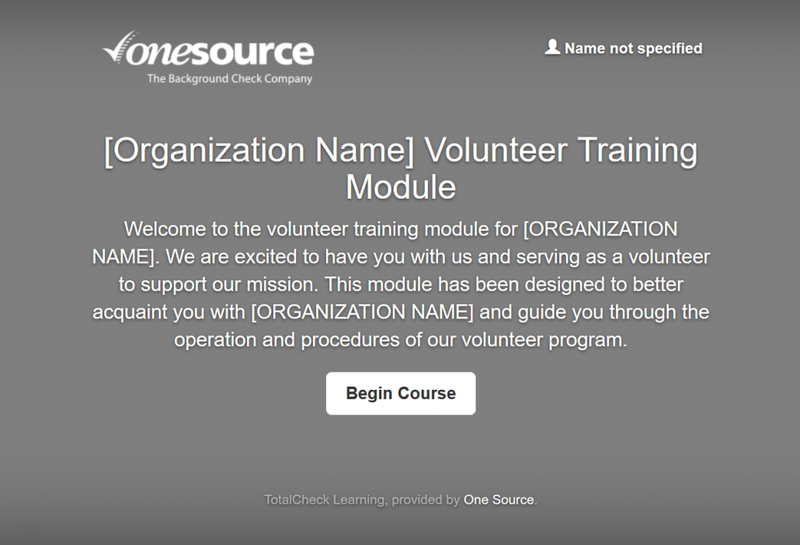 The TotalCheck Learning platform, provided by One Source The Background Check Company, is an easy to use learning management system. 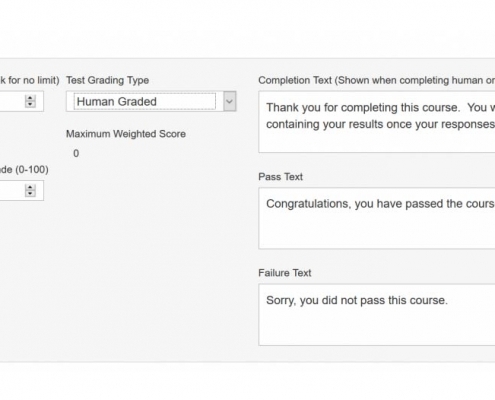 The platform’s customizable interface allows organizations to develop courses and evaluations for their unique purposes. 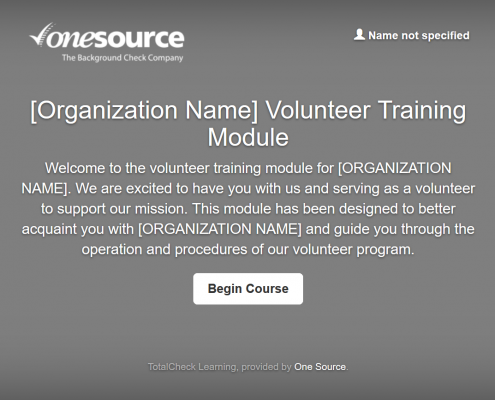 The TotalCheck Learning platform guides users through the important pieces of training provided by your organization. By using our online training platform, you can create a course specific to your group or utilize our pre-made courses for quick and easy training. These courses and tests are designed by you, to specifically help ensure all employees and volunteers are properly trained on necessary materials. One Source periodically is adding additional generic training courses to assist in meeting our clients’ needs. Track status of users in real time to see if they have begun the course. Courses are also set to either manually grade or to be system graded to quickly and easily pass your employees/volunteers to either another test or a certificate of completion. – Ann Fosco, Community Impact Director at Little Brothers Friends of the Elderly Minneapolis/St. Paul Chapter. Make use of our template or design your own! Customize every aspect of your courses to suit your needs! Creation of custom courses has a $250 minimum. Additional fees apply based on complexity. A complete price will be provided after review.